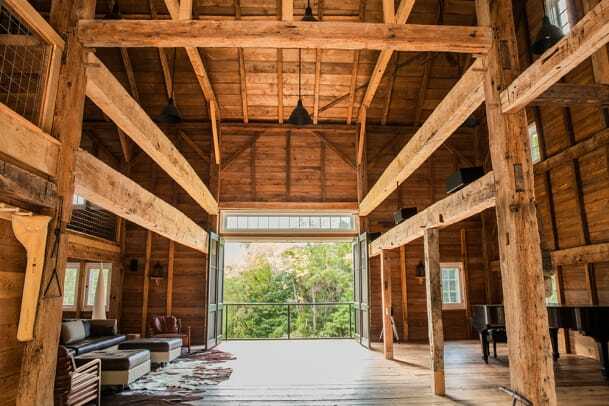 Inspiration for the 4,750-square- foot barn addition to a 19th-century farm in Kinderhook, New York, was born of remnants from a late 18th-century white oak bank barn frame—still standing in New Jersey’s Kingwood Township before being dismantled, restored, and trucked to its new location. Completed in 2015, the John B. Murray Architect project represents a classical appreciation of early American history tied to the functionality of modern minimalist. Exterior of the renovated bank barn. The design program called for the reclamation and restoration of the 1780s white oak, hand-hewn barn frame to be repurposed as a “family barn.” Success depended on its looking as if it dated to the time of its original owners. 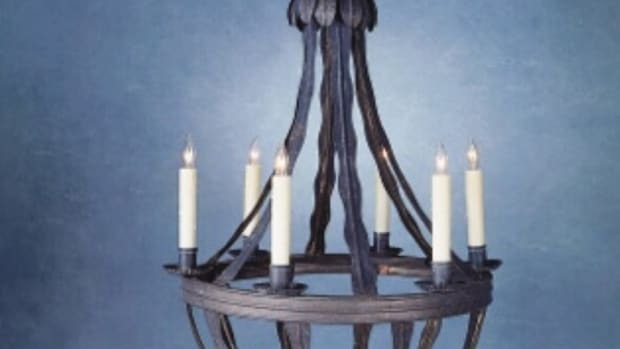 To that end, New England woodworkers and ironsmiths created details in keeping with the18th-century frame’s vernacular. 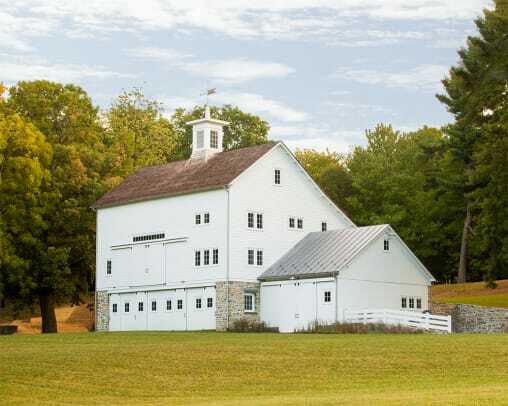 For example, the original bark-covered timbers and handcrafted plaster walls of the lower-level “dairy” were whitewashed—a detail reminiscent of the Hancock Shaker Village round barn. The weathervane, with indicator arrow in the cupola, connects to an interior compass rose—all of which were fabricated of stainless steel and given a lightly oxidized finish; the inspiration being Jefferson’s Monticello. 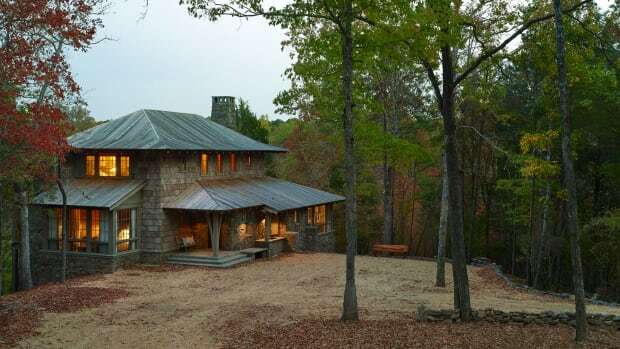 In addition to the cupola’s four motorized 12-light awning windows, sliding barn door openings with fixed transoms at each end of the central threshing floor fill the main space with natural light. Also meant to help enhance natural lighting and ventilation are the inswing casement screen sashes positioned behind each of the operable outswing awning windows. 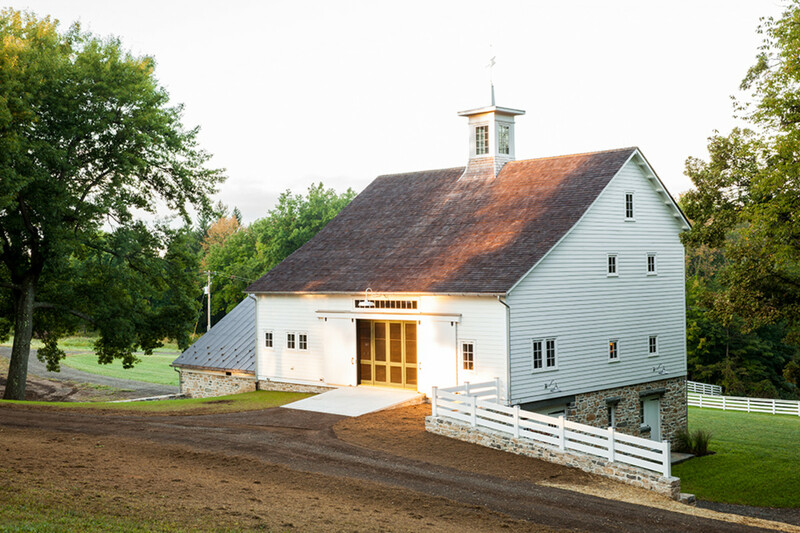 “One of the global challenges was finding the right balance of window and door openings within the barn space to maximize natural light penetrating the interior spaces, while maintaining the barn-like character of the exterior,” recalls principal John B. Murray. 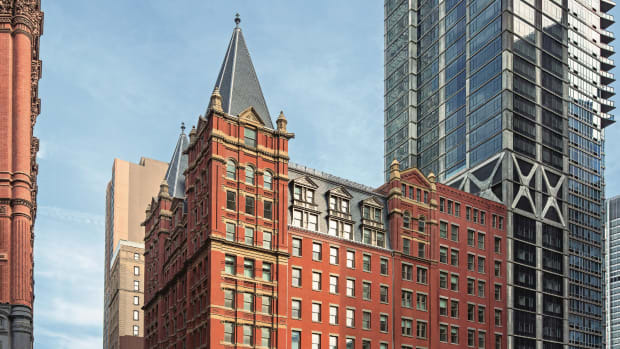 Both the exterior and interior layer materials are period appropriate and energy-efficient. Heat is generated from hydro radiant tubing running beneath the reclaimed pine barn floor planks, which were set with cut nails, lending texture and a nod to history. Additional detailing includes the antique rafters, which support the bandsawn hemlock boards that are nailed to the top side of the rafters; and stained hemlock interior walls and ceiling boards, which have the appearance of century-old oxidation. A perfect kitchen space was designed for the barn. In fact, the entirety of the interior honors the original inspiration of a 1780s gunstock post barn frame. 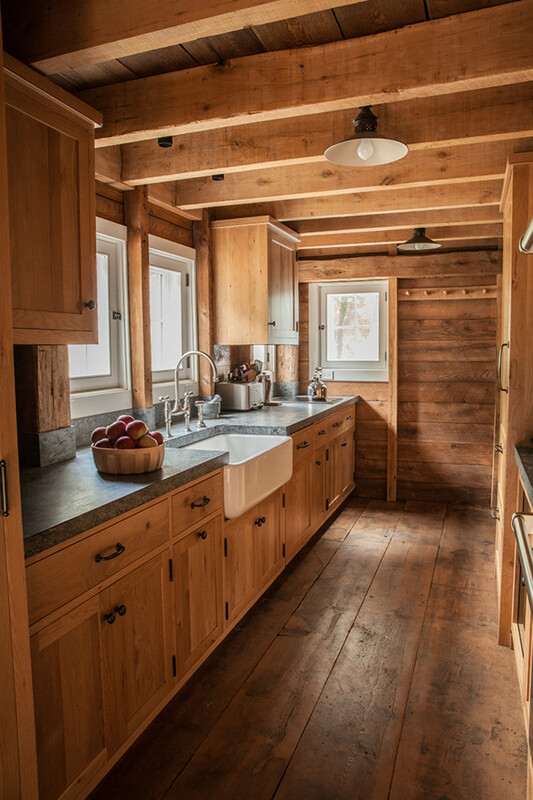 The granary was transformed into a state-of-the-art kitchen with Church Hill Reserve soapstone from Virginia’s Alberene Quarry, the last remaining domestic soapstone quarry. Contemporary conveniences include a Lutron state-of-the-art lighting control system, concealed LED lighting on the tie girts, enabling soft illumination of the antique rafters and ceiling boards as well as the cupola and carved wood compass rose. Additionally, the barn is wired for high-tech audio-visual programming. It also houses a car and a tractor.